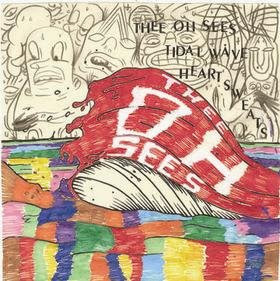 Ongakubaka: Thee Oh Sees - Tidal Wave 7"
Thee Oh Sees continue their dominance of my playlist. Side A definitely outshines the B, but both tracks are expectedly enjoyable. They're the go-to band on a warm summer day. This 7" is courtesy of Woodsist. Get one.